The Empress Unit 601 embodies all that it implies: luxurious furnishings, spectacular accessories, balconies with sweeping Gulf and lake views. Empress amenities include a pool and hot tub overlooking the lake. 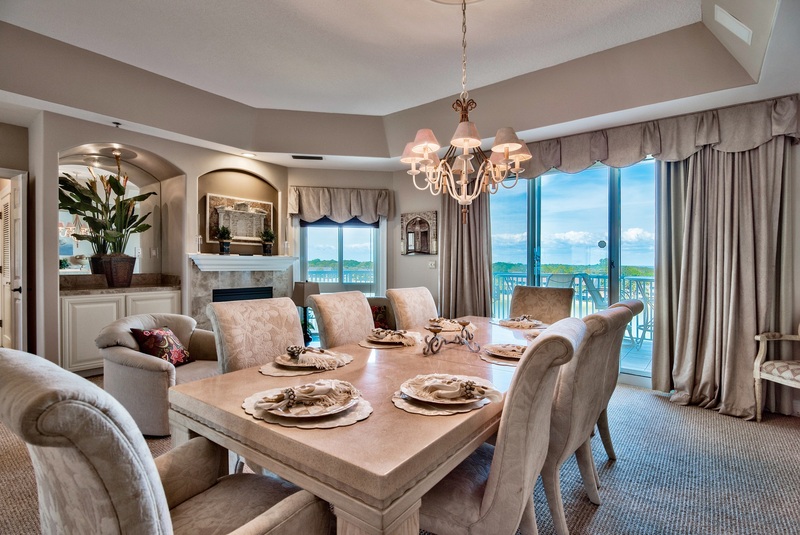 This condo is 2600 sq ft of breathtaking elegance. 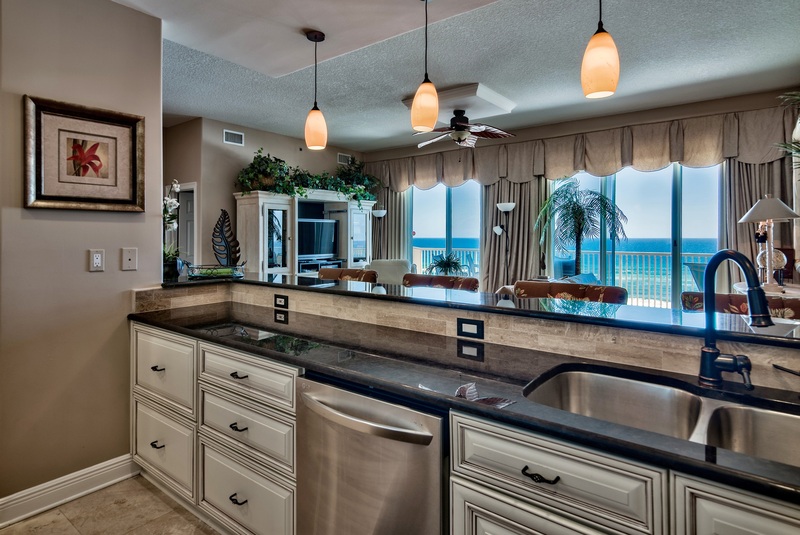 This unit is truly one of the largest, most beautiful condos in Destin. 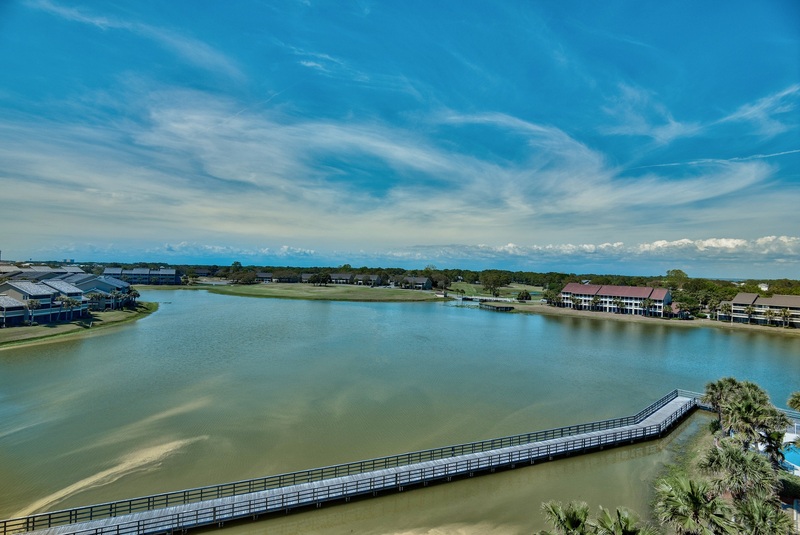 This amazing three bedroom, three bathroom, 6th floor unit with a spacious floor plan offers unparalleled views of the Gulf of Mexico, lake, and golf course. The private balcony with full Gulf views is the perfect place to enjoy your morning coffee or experience a romantic sunset. 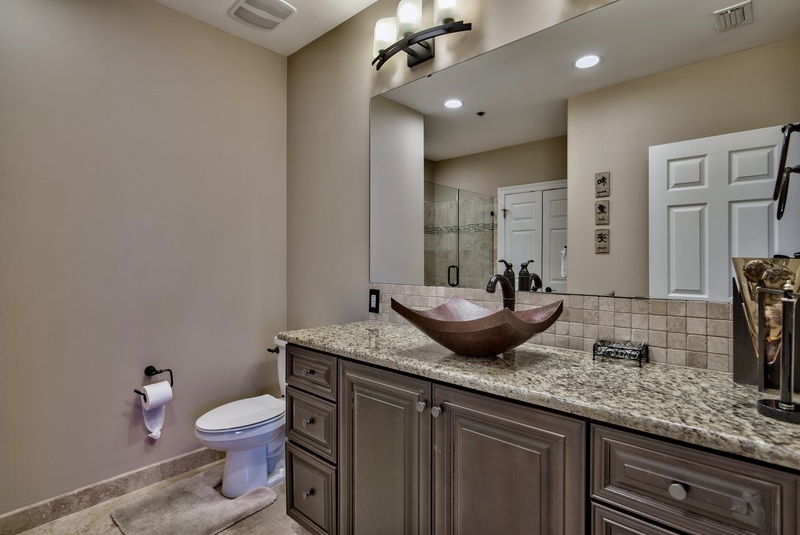 This open floor plan condo is tiled with luxurious travertine throughout the foyer, living room, bathrooms and kitchen. There is a full wet bar in the living room, complete with beautiful wine, martini, beer and margarita glasses for your enjoyment. There is a sound system throughout the unit, including speakers on the balcony! The high-end dining table seats 8-10 comfortably. 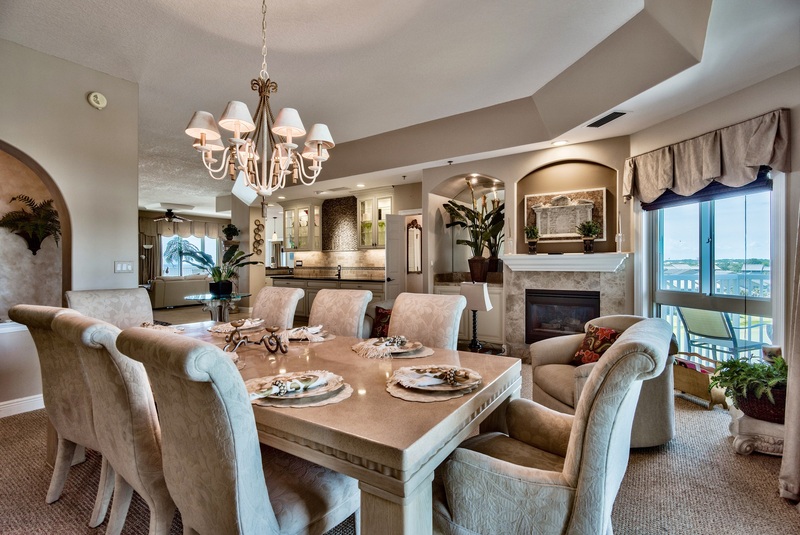 There is also a cozy sitting area adjacent to the dining room with a gas fireplace. 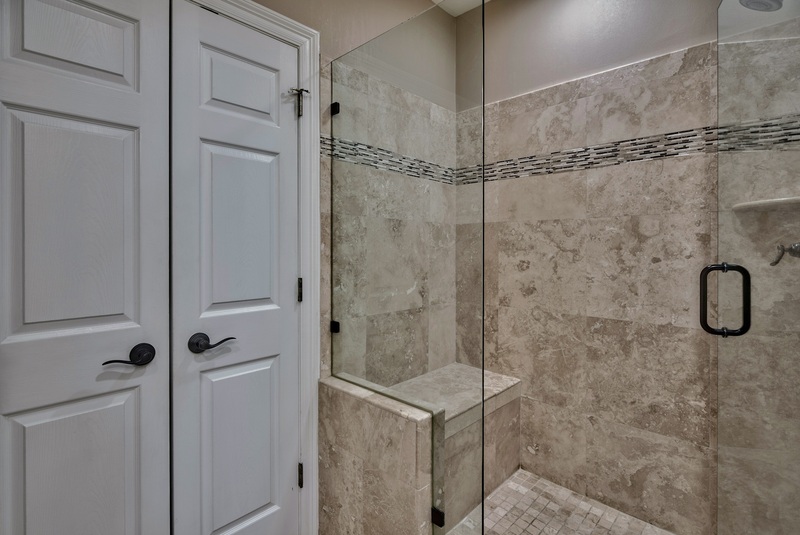 The kitchen and bathrooms have just been renovated with granite countertops, stainless steel appliances, including a double oven and french door refrigerator, vessel sinks, heated Jacuzzi, and rainfall shower-head! 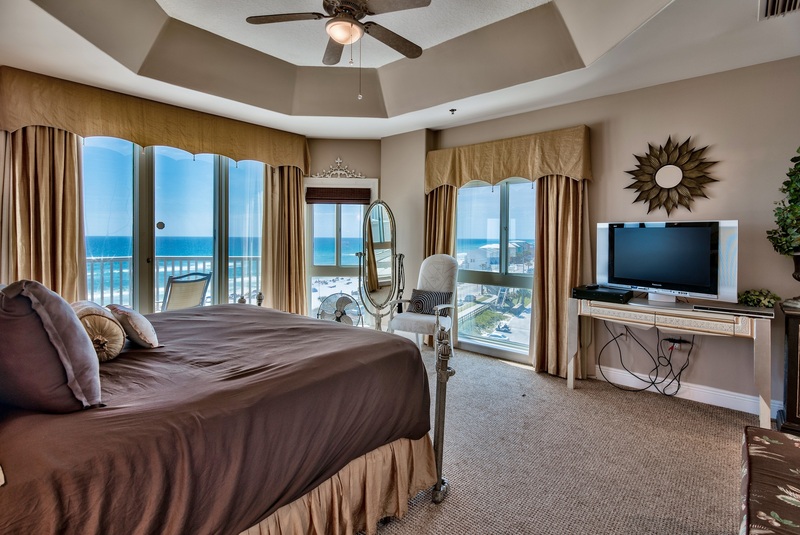 This beautiful condo offers two gorgeous master bedrooms with king beds - each with its own private spa bath and balcony overlooking the Gulf. 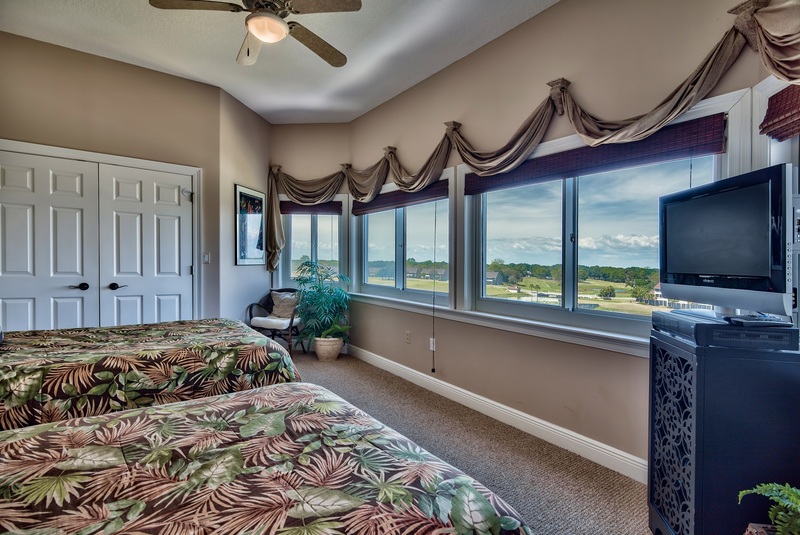 A third bedroom has two double beds and a huge window with a stunning view of the lake. An additional sleeper sofa is located in the living room. Large tiled balconies facing both the front and rear with ample comfortable seating provide a place for sunbathing, reading, dining or just enjoying the view. In the living room, you will find a TV with an HD converter, iPod docking cables, movies, and board games. 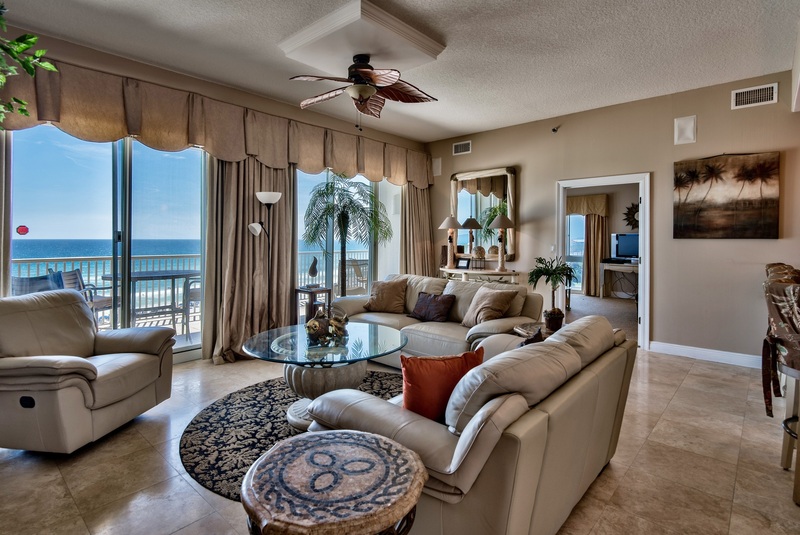 This condo is perfect for a family vacation and provides all the comforts of home right on the Gulf of Mexico. Speaking of the beach, with this rental, you are provided with two beach chairs and an umbrella in your condo that you can take to the beach, in lieu of spending $40 a day using the local beach service operator. We had a great time and the condo was perfect for our family! 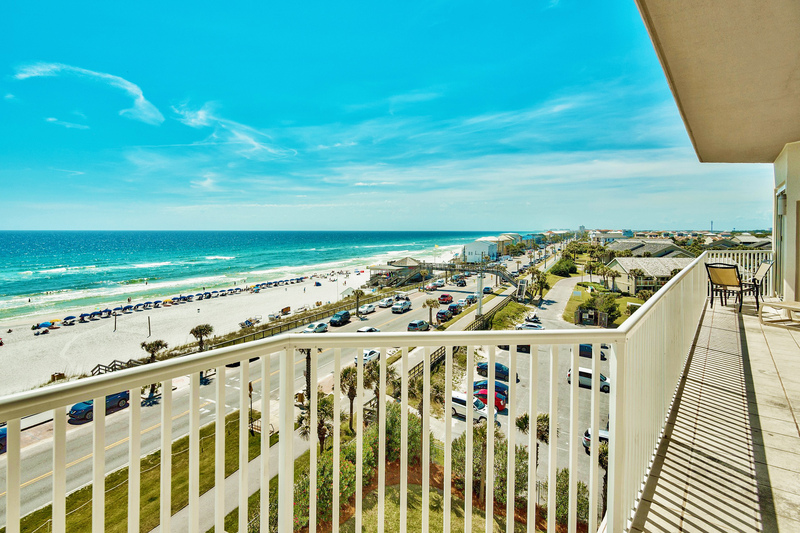 You can’t beat the views and the location is convenient for where we like to stay in Destin. We will certainly be back. The condo was perfect for our family of 7. Including 3 teenagers so we needed space and this condo definitely has plenty of space!! We used the vip perks pass that come with the condo one person went fishing and then we all went on the sea blaster Dolphin Cruze. This condo is directly across the street from the beach access to the beach was very easy.. however you have to be up very early to get a water front spot on the beach as most of the resorts in the area have a majority of the water front beach or you can pay for them but it’s pretty expensive for two chairs and an umbrella for the day and with 7 that can get pretty pricey for the week.. We would recommend this place to anyone with a large family or even just for two looking for a romantic get away. "Honestly, this place is as advertised - beautiful decor, excellent location and views, excellent parking, carts and an elevator to help you load and unload your luggage. Staff was attentive. Kitchen had lots of storage, the fridge was large with a working ice maker, stove worked fine and the dishwasher was super quiet. The fan was a nice touch and was used often as temps along with the humidity reached over 100 a few days. The only thing I would say was negative was the master bedroom mattress needs to be replaced. Once that's done, I would recommend this place to anyone and everyone! 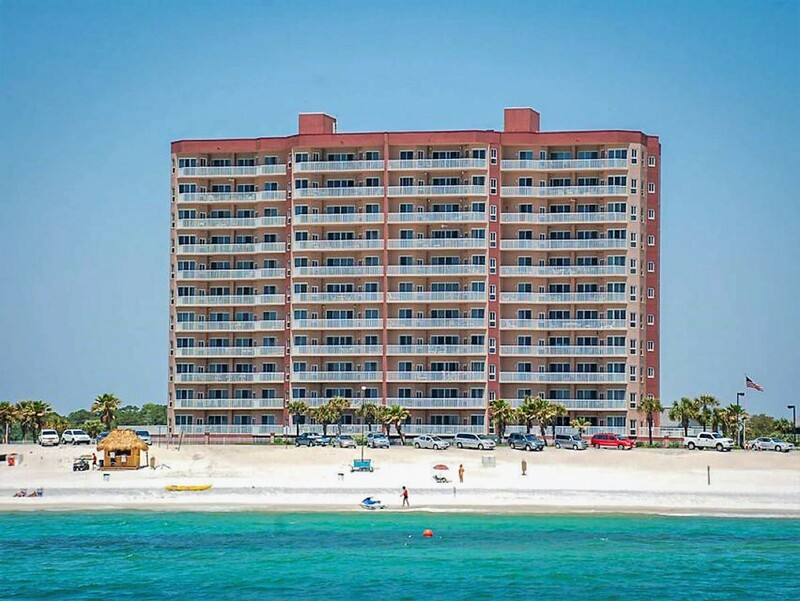 If we make the trek to Destin again, this will be the place we stay. As an FYI, we had 5 adults and one baby staying the week - plenty of room! Another FYI - if you stay here and turn the TV in the living room on and get the grey bars on the side, simply hit the '*' button on the Dish remote until it gets the correct aspect to show - took us a few days to figure this one out..."
"We love staying here we feel it's quite and peaceful"
"Wonderful experience. Love condo but could use a few updates. New Bedding, Pillows, etc. New washer and dryer.. Also needs a deep cleaning and a new cleaning service. We will be back." " Thank you so much for sharing your experience . I will let the property manager know about these issues. 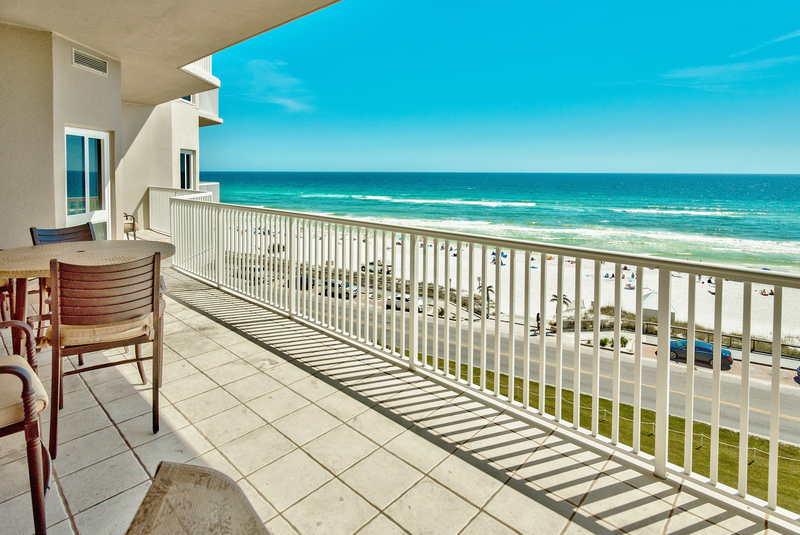 Best Regards, Destin Palms Management "
"The condo was terrific! beautiful, clean, spacious. 2 very minor problems taken care of quickly by customer service. Would definitely recommend to anyone. We really enjoyed the pool & beautiful beach. Liked Surf Hut, Pampano Joes & Carrabas. Weather was not great." "Thank you for your feedback Terrance! 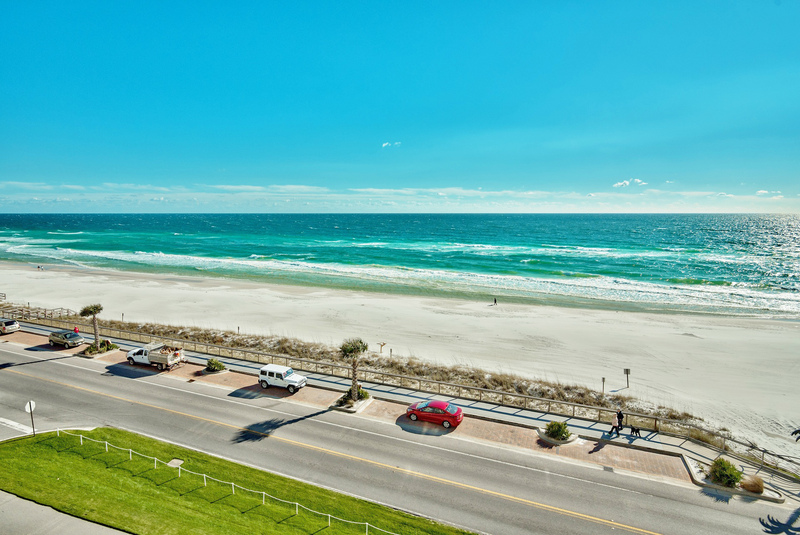 The management team of Destin Palms takes guest satisfaction seriously, as we recognize that only through providing excellent service do we remain one of Destin, Floridaâ? ?s top beach resort destinations. We always value and appreciate constructive and positive feedback as it helps us improve our service. Despite the weather I am so glad to hear you and your family had a great time here with us. We look forward to seeing you again soon. 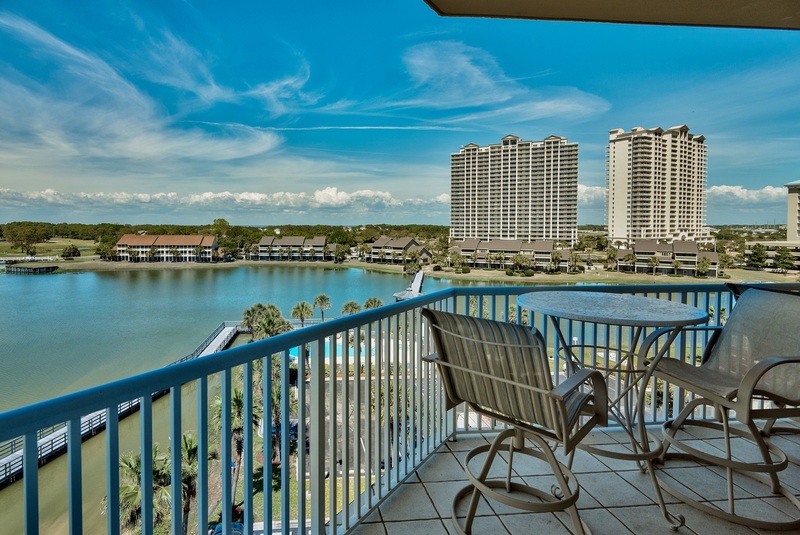 Sincerely, Destin Palms Management"
"This unit was spacious for 2 families and we loved the huge balcony. We had an issue with the washer but the management company had it resolved within 1/2 hour! Would definitely stay here again and would use Destin Palms. We had a great vacation and the condo was the perfect place!" "Thank you for your positive feedback! We are here to help in anyway and will always have things addressed immediately! We look forward to your next stay with us! Best regards, Destin Palms Vacations"
"Our second year to visit Empress 601 for girls trip to the Destin area! We absolutely love staying here! It's a perfect set-up for groups or families. And it's BEAUTIFUL!" "Thank you for the feedback. We have to agree that the Empress units are quite lovely and wonderfully decorated. We look forward to your next stay. Destin Palms Management "
"Thanks for you feedback. Empress condos are all that and more. We hope you will return soon. 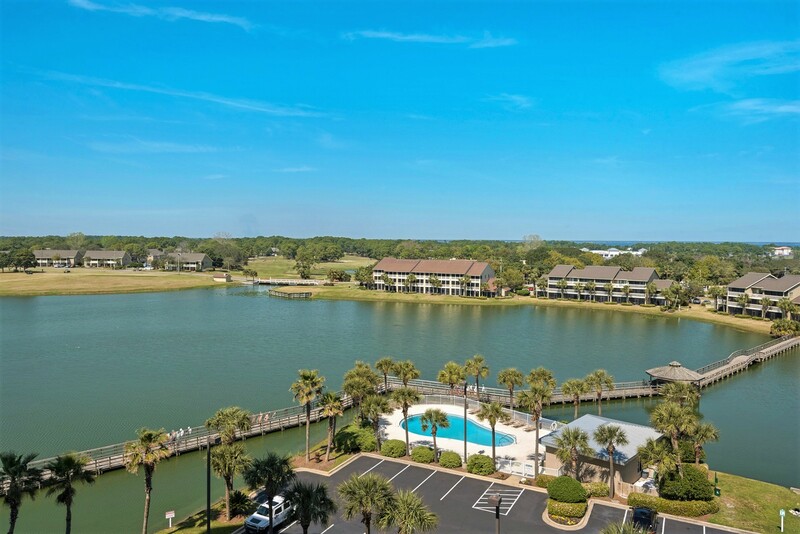 Destin Palms Management "
"It was very nice - we enjoyed the location and meeting the neighbors across the hall, but we did like the unit we had last year at the Empress a little more than this one. " "Thank you for your feedback. 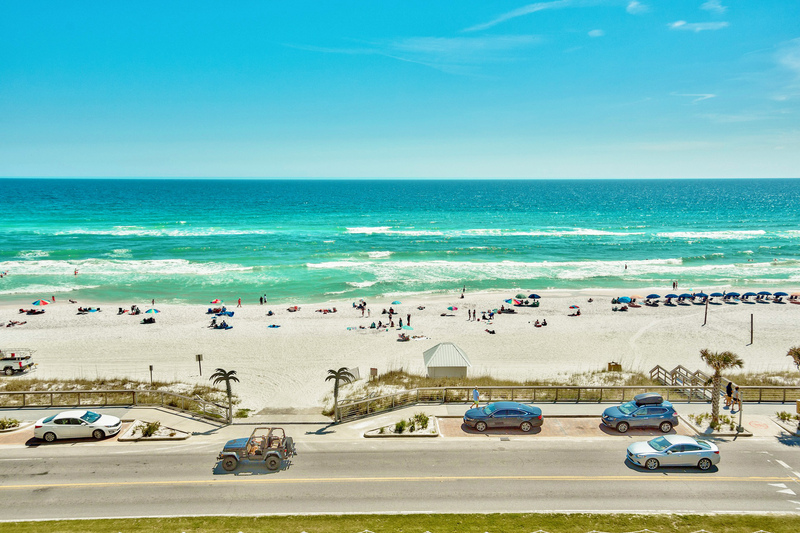 We look forward to serving you again on your next trip to Destin. 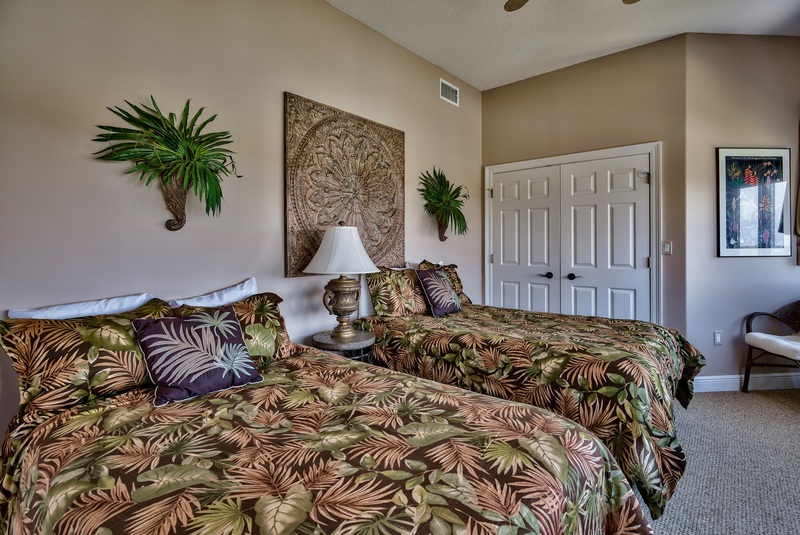 Destin Palms Management"
"This condo is not only spacious, but very well decorated and remodeled. Great views off the front and back balconies. Kitchen is awesome. Parking space is right next to the elevator and the elevator opens up next to the door. Crazy convenient. Have stayed here twice and will always stay in this unit if available. " 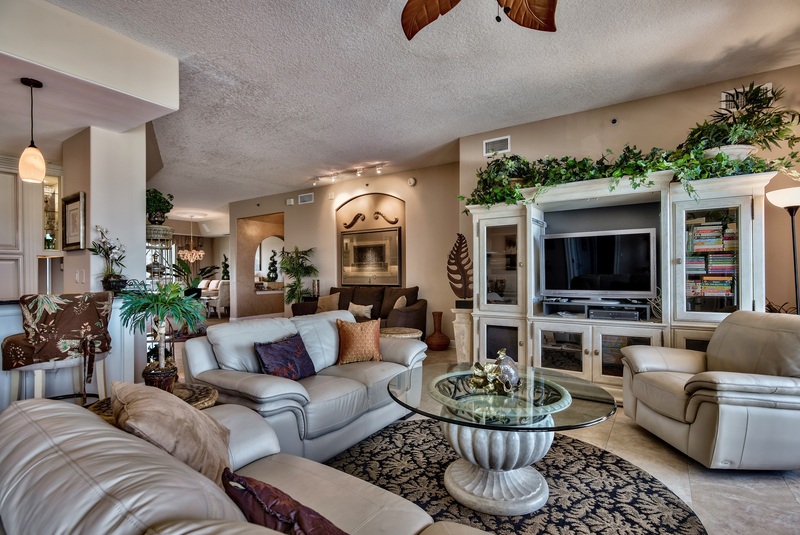 "Our family had a wonderful time in this condo. The views were perfect, the condo had everything we needed, and the beach was right across the street (which was not busy at all and there is also a walking bridge that went over the street). The sand is the super soft sand that people dream about and the beach was not crowded during our stay. " "Overall my vacation was wonderful. The condo was beautiful and very spacious. The only issue I had was the A/C in the master bedroom was not working properly. A repairman did come out quickly to check the unit but he was unable to fix the problem." 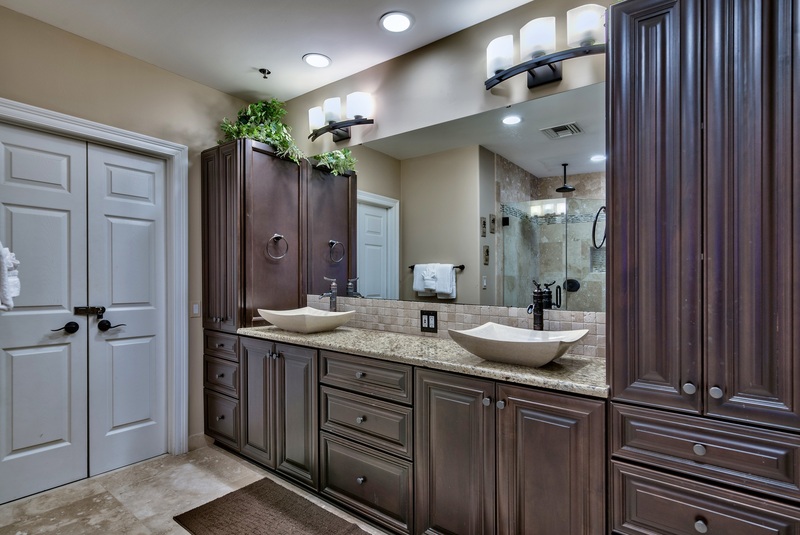 "This unit was very nice unit! Would love to stay here again if was guaranteed clean housekeeping on arrival. Numerous housekeeping issues on arrival." "Thank you for your feedback. We strive to give our guests a 5 star experience, and we apologize that you did not feel your stay was 5 stars. We realize that no one is perfect, and that is why we ask the guests to let us know of any housekeeping or maintenance issues when they arrive so that we can take care of them immediately. When you made us aware, we sent someone over. When it did not meet your satisfaction, we issued a refund in the amount of the cleaning fee that you paid. We felt that was the right thing to do given the circumstance. We have had a meeting with housekeeping, to ensure that something like this never happens again. We hope that you will come back and visit again in the future so that we may give you the 5 star experience that you deserve. 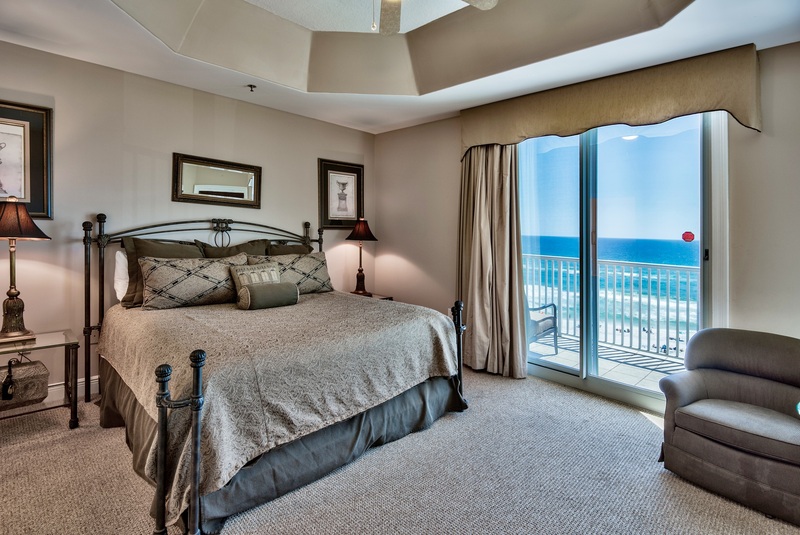 - Destin Palms Management"
"The Empress 601 is our favorite place to stay in Destin. 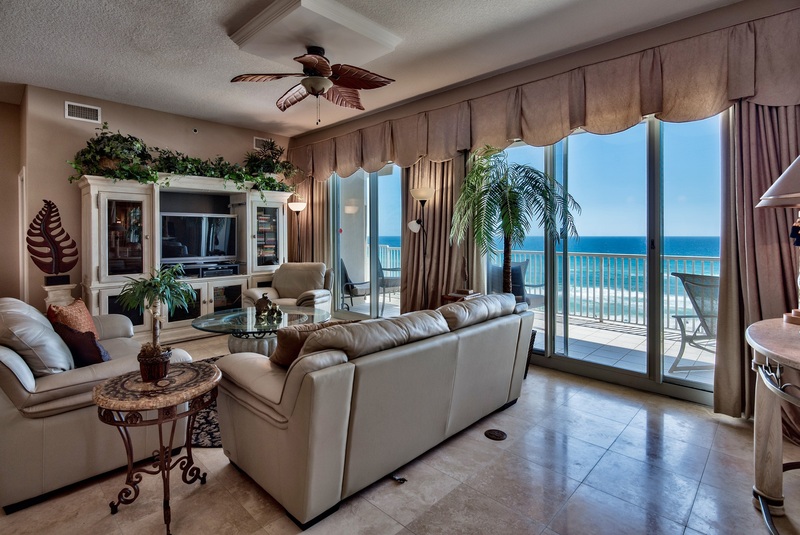 The condo is beautiful and the views of the ocean are unbelievable. This was our 4th year at the Empress and will not be our last. The condo had ample room for the 10 of us with room to spare. There was new furniture in the living room and a new queen hide-abed which we did not have to use due to the ample space in the bedrooms. Love, Love, Love this condo." "Thank you for taking the time to review your stay with us at The Empress. We're so excited to hear you enjoyed your stay, and appreciate your feedback. This is a fantastic condo and a great fit for you and your family, so please feel free to call us anytime to re-book. We hope to have you back to stay with us again in the near future! Have a great day! 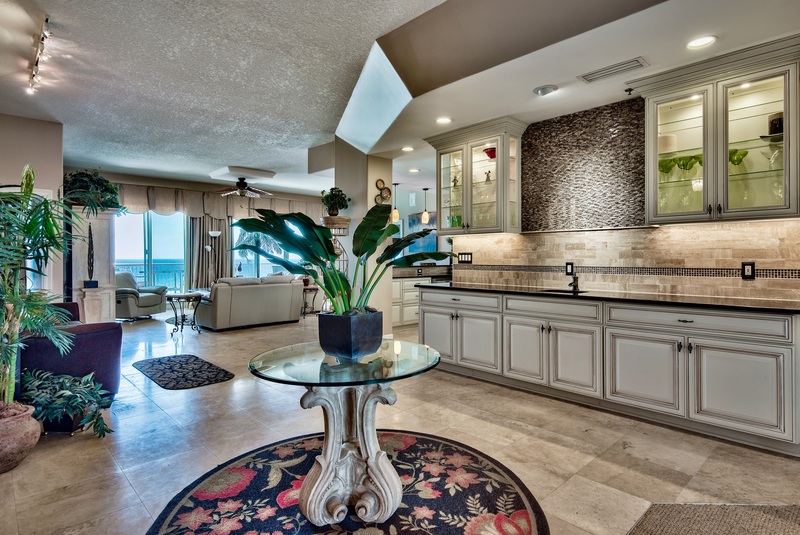 -Destin Palms Management"
"Huge beautiful condo with every amenity needed or wanted. 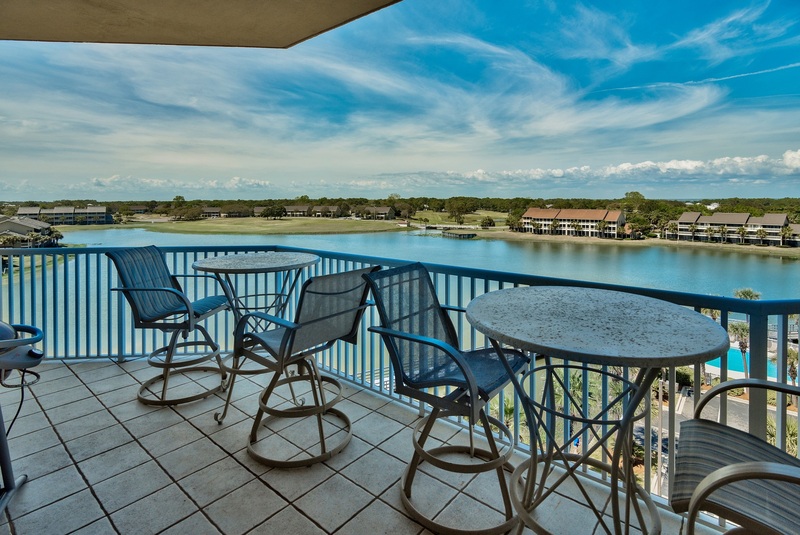 Enjoy morning coffee or meals on the spacious front balcony overlooking pristine gulf views AND a second on the back of the condo with a gorgeous lake and golf course view. Walking distance to restaurants. " "Thank you for taking the time to review your stay with us at the Empress. We're happy to hear your stay was enjoyable, and hope to have you back to stay with us again in the future! Have a great day! -Destin Palms Management"
"The Empress 601 was everything it was advertised to be. Very clean when we arrived. It was large enough to meet our needs. " "Great stay, very good property. 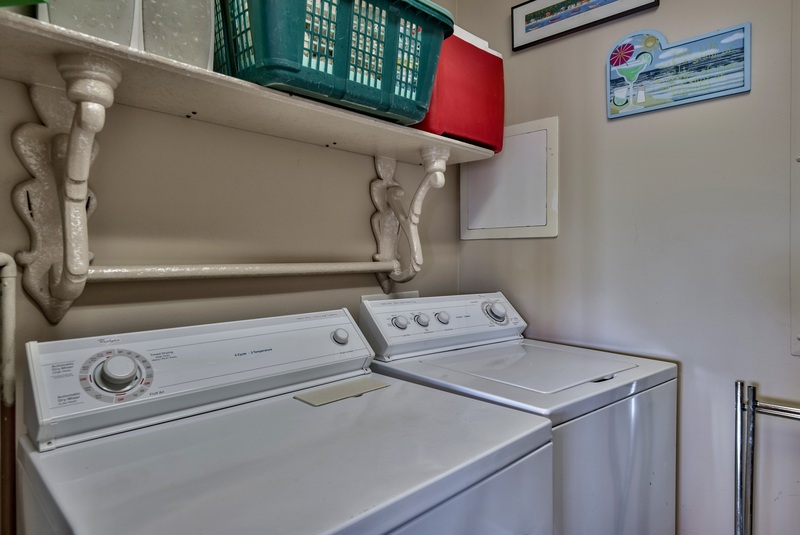 Condo has all the essentials that you need for your vacation. These are couple of pointers for the owners and destin palms. I wish the cleaners did a better job of cleaning the property. Showers still had a quite a bit of sand inside, tiles in the living room and kitchen were dirty. Couches in the living room is kind of worn down, outside grill didn't work. In no way, these issues affected our stay at this property, but things to improve on. " "We appreciate your input on this unit! Thank you for taking the time to review your stay, and we're happy to hear you enjoyed it. We've passed along the reported issues to our property management team. The couches have been replaced and and we would love to have you come back to stay with us again in the future. Thank you again for your time, and have a fantastic day! 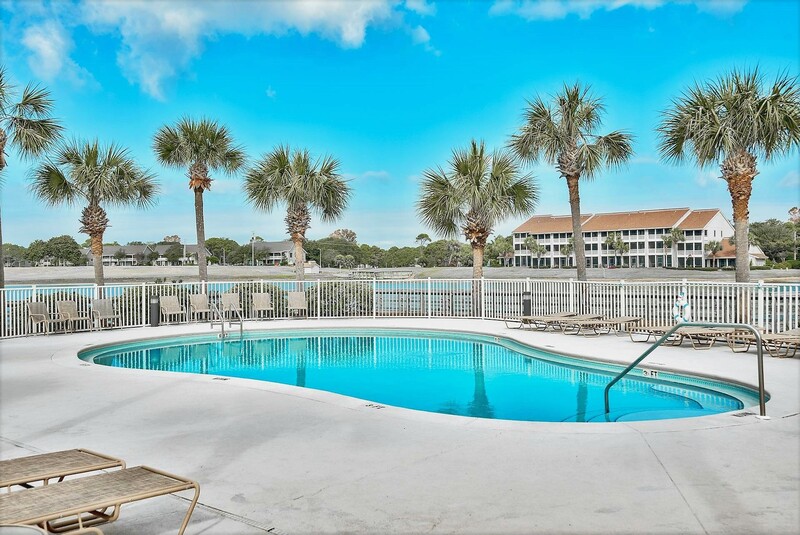 Destin Palms Management"
"My family has rented this unit several times over the years and it still takes my breath away! 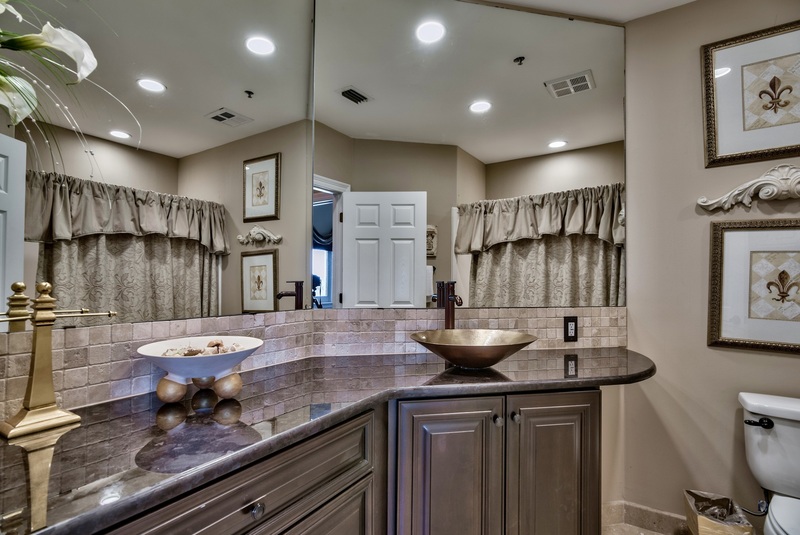 The kitchen and bathroom renovations were wonderfully executed and give an even more classy updated feel!" "We are so glad you enjoy and appreciate the updates. We look forward to having you back again. 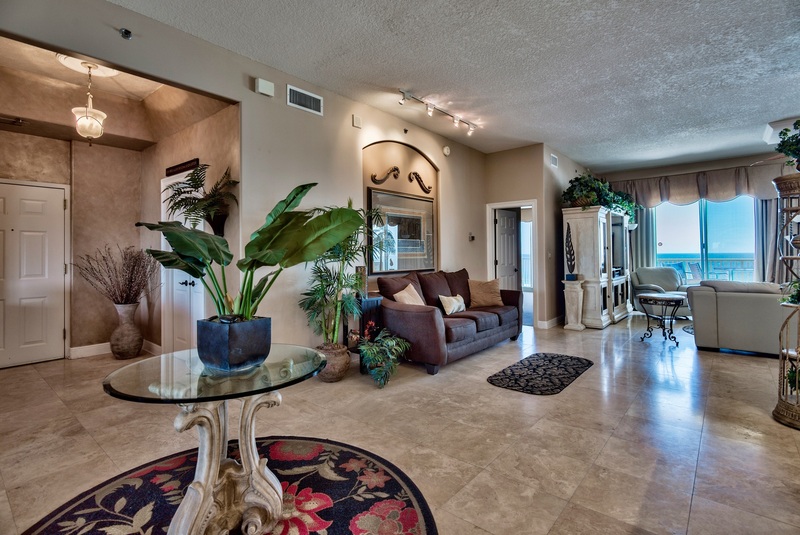 - Destin Palms Management"
"Our family loved this property. Very spacious, great view, and walking distance from the beach. Thank you for welcoming us to your property. We look forward to more future stay!" "Thank you for staying at our property! We are happy that you and your family had a great time, and look forward to seeing you in the future!" 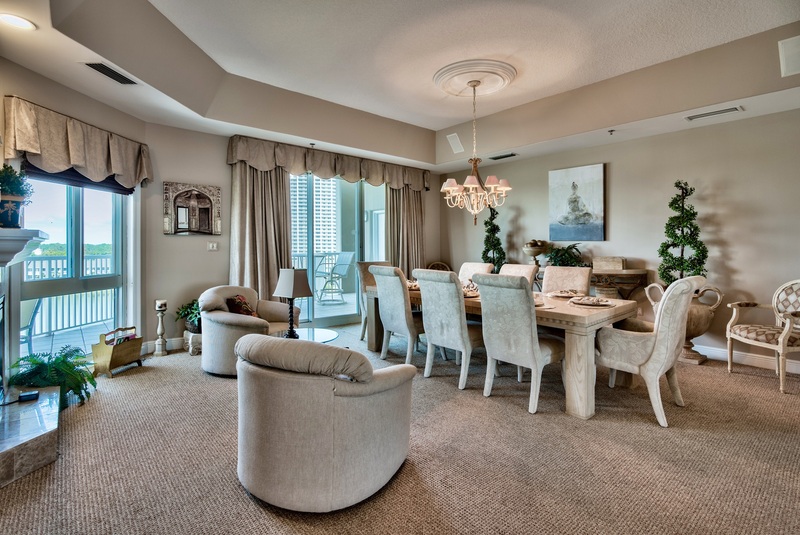 "I was a little hesitant that the condo would not look like the pictures which I have experienced in the past. The condo was very clean and had plenty of room for 5 people. The balcony and view of the ocean was the best yet. We are planning on returning next year. " "Thank you for your kind words. 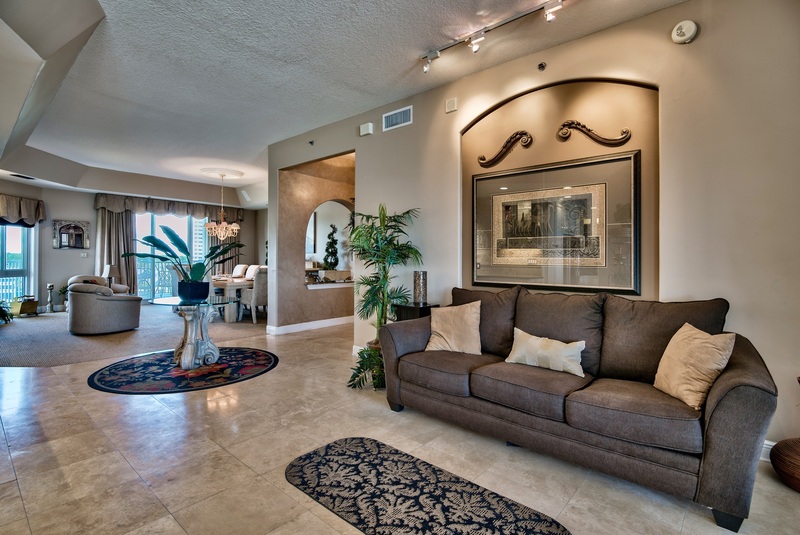 Pictures can be deceiving, and we are happy that you found the photos accurate and the condo comfortable. Enjoy the rest of the summer, and we will look forward to having you back next year!" "We had an amazing time. 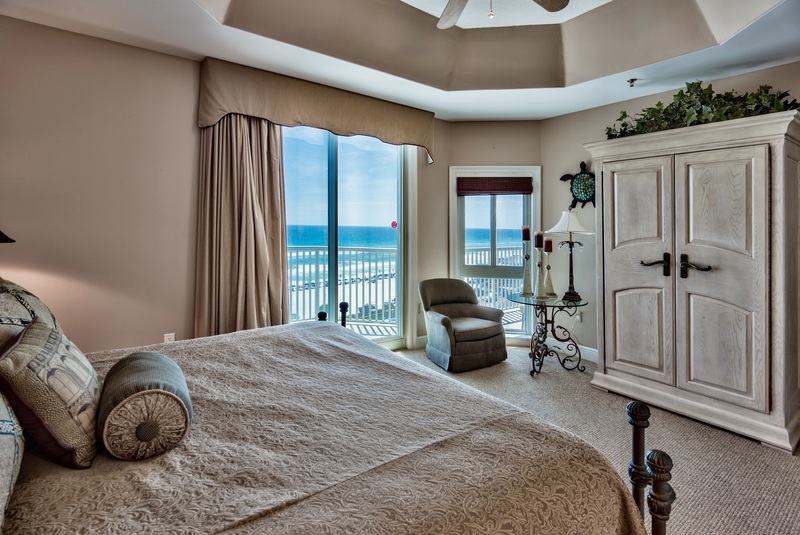 The Condo was perfect for our family and it had such easy access to the beach. The pool was just right for when we wanted a break from the ocean. We loved everything about it and are planning a return trip!" "Thank you so much! 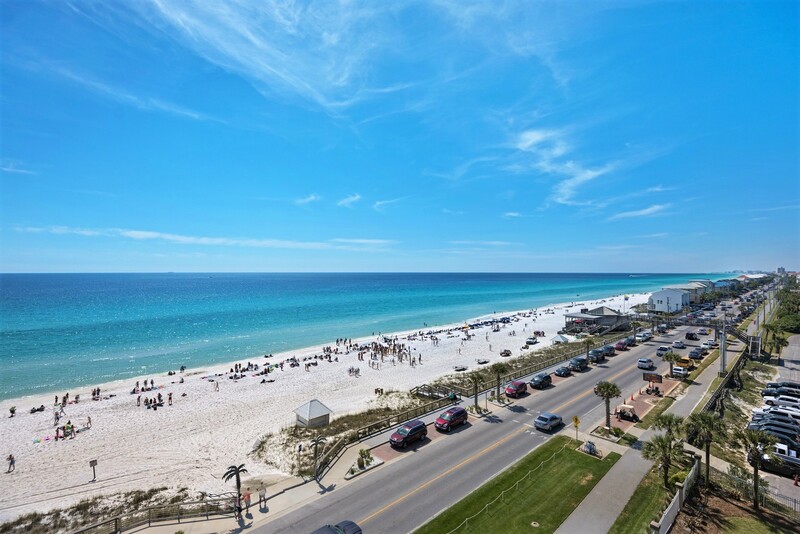 We're glad that you had such a great time, and we look foward to working with you when you come back to Destin!" 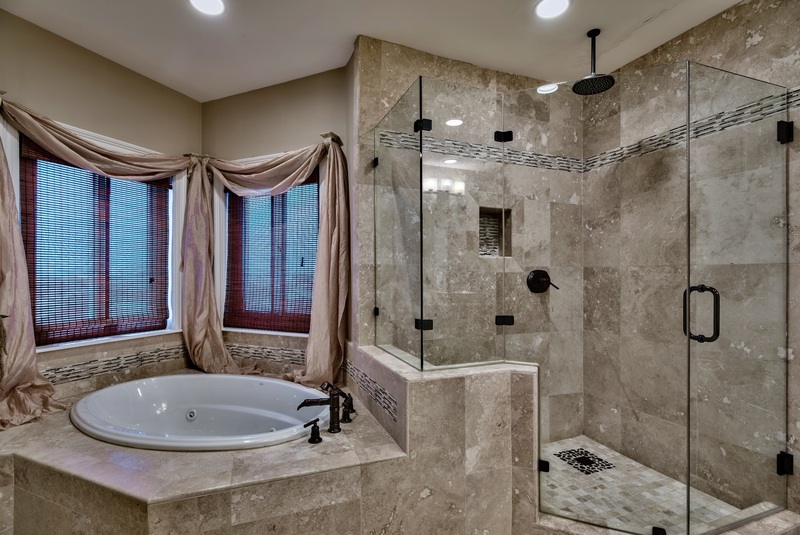 "This is a beautiful unit with an exceptional view. Plan to book the same unit again next year." "Overall our experience was fabulous. This rental property is in a great location and the balcony view is incredible. This unit was clean and well maintained. The layout was great and offered lots of space for all. The only thing we would recommend is new cushions for the balcony furniture and maybe upgrade of furniture or couch in main living area, not real comfortable. In the 3rd bedroom the beds are advertised as queen beds, think they are double beds not queens and one of the beds mattress needs to be replaced, sags in middle and not very comfortable. The overall experience at the property was outstanding and we would return for sure. Again location is great, close to shopping and restaurants. " 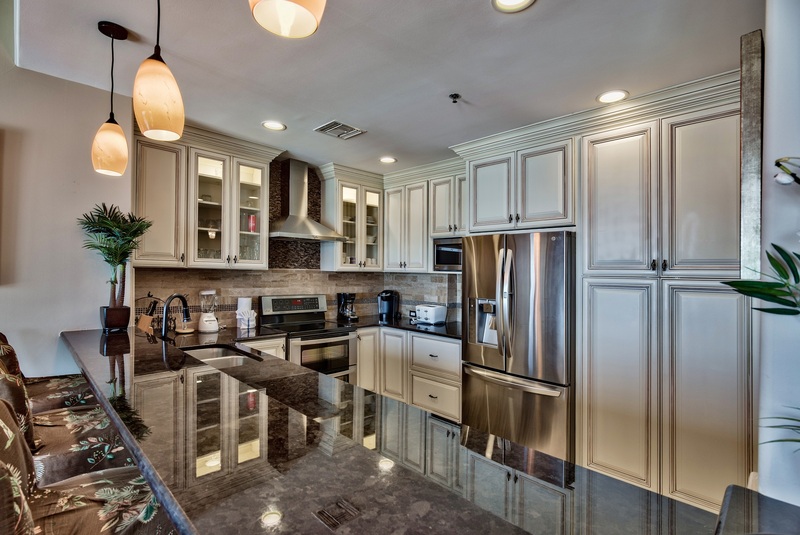 "The condo is beautiful, especially the kitchen. The location is ideal and views are spectacular. The beds were comfortable and I slept well but the living room furniture is worn and uncomfortable for movie nights and very low to the ground and hard for my mom to get out of. The bathrooms and bedding were clean but floor was dirty, left us with little black feet after walking barefooted. The staff managing the property is exceptional. Available and quick to respond. If they replace living room furniture I would vacation there again. Also could use more towels and kitchen towels, cooking utensils could be updated as well....new pots and pans. Gas grill unusable. Stripes sofa ripped on both front sides. Still- overall it's lovely inside and easy walking to coffee house and lunch. 4 out of 5 stars." "Thank you so much for your review and your suggestions. We will relay them to the owners. As you can tell, they take pride in their property and I can assure you they will take your feedback into consideration. We hope to have you back in the future. 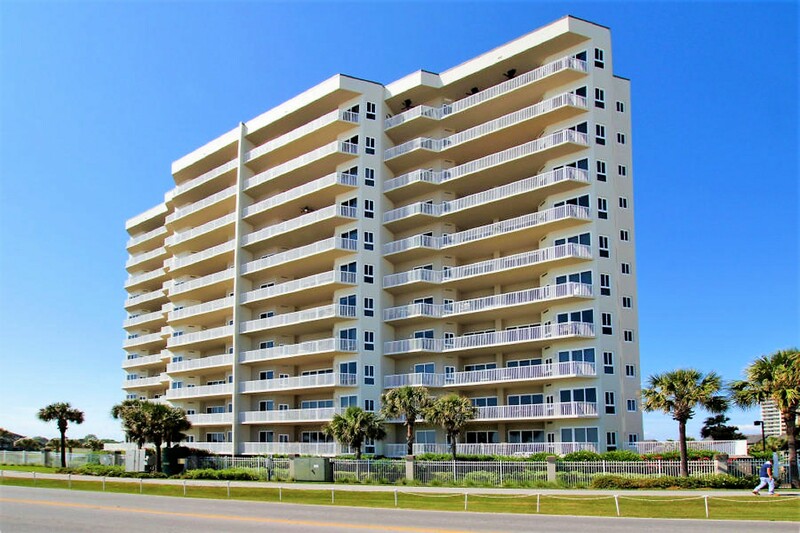 - Destin Palms Management"
"This condo is not only very large, but the renovations are great. 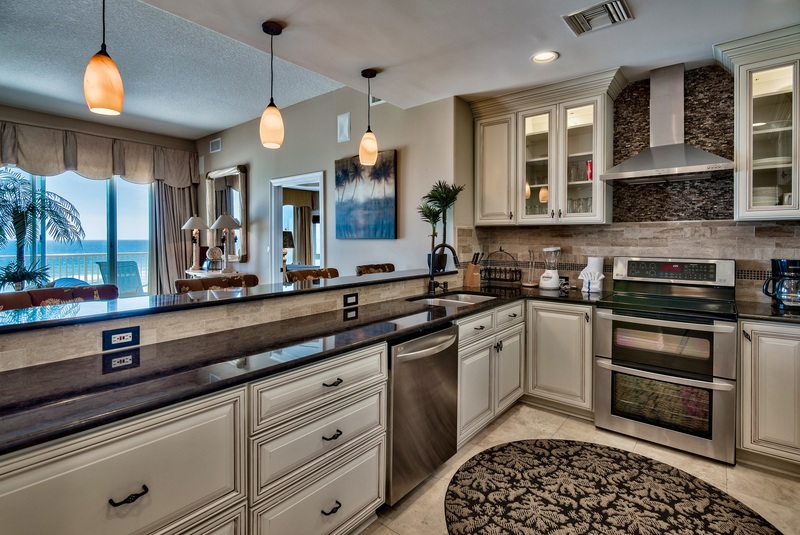 Very nice kitchen, baths, having 2 masters was awesome. The 3rd bedroom was back by itself which was great for our son. Two huge balconies. Practically a private elevator that is just steps from your parking space. Very quiet building. Highly recommend." "Thank you for your review. Please come again. - Destin Palms Management"